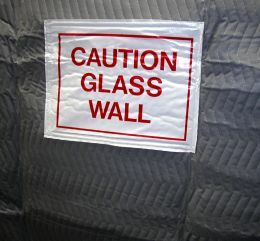 Each pad is custom made and sized for your freight and passenger elevators. 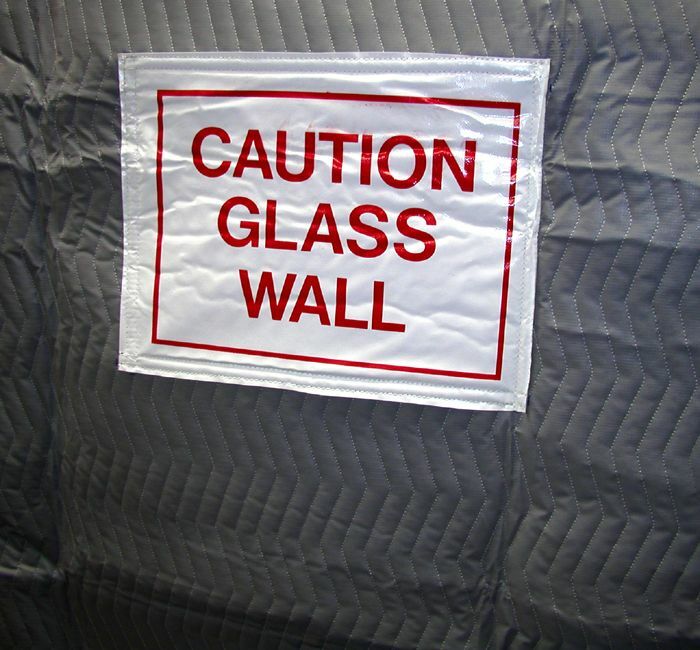 Here you can see where a sign was made and sewn onto the pad to indicate that there is a glass wall in the elevator behind the pad. Delivery time is about three weeks. Sign is 14" x 18". Pad is custom sized to your needs.